Russian state-owned technology Ruselectronics has demonstrated the first computers running its own domestic Elbrus-8S silicon. The Elbrus-8S packs eight cores, and is manufactured using a 28 nanometer process. In comparison, the current-generation Intel Kaby Lake processors use a 14-nanometer process. According to Ruselectronics, the chip is between three and five times faster than the previous Elbrus-4S processor, and has I/O channels that are eight times higher. The Elbrus-4S, which came out in 2015, was sharply derided in the tech press for slow performance, with PC World editor Mark Hachman comparing it a CPU from 1999. While the Elbrus-8S doesn’t compare to contemporary Intel and AMD silicon, it does represent a significant leap forward. Ruselectronics also said that the chip contains features that “guarantees its users a high level of information security,” although it’s not immediately obvious what these are. The PC running this chip, called the Elbrus 801-PC, runs a Linux-based operating system called the Elbrus OS. In addition to applications built for the platform, it can also run x86/x86-64 applications through a compatibility layer, although I imagine that comes with a pretty steep performance hit. In recent years, Russia has attempted to wean itself off US-made technology with its own domestic offerings. The justification for this is part economic, but also from a national security perspective. Last year, it announced that it is working on a Sailfish-based operating system as the basis of its own Android-alternative, which will be used within Russian government agencies and state-owned corporations. The country is also home to a thriving hardware scene, with several indigenous computer manufacturers and silicon makers. 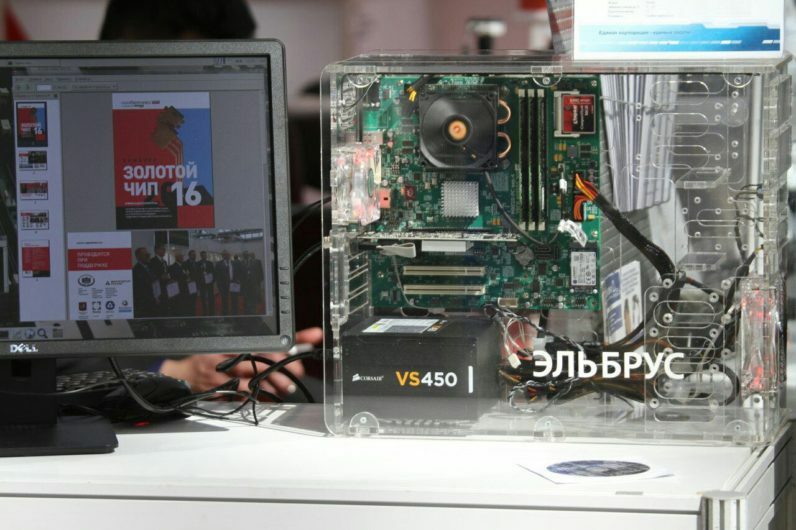 Last May, Russian brand T-Platforms released a 21.5-inch all-in-one computer running a MIPS-based Baikal-T1 SoC from Baikal Electronics. Deputy CEO of Ruselectronics Arseny Brykin said that we can expect the first batch of PCs running the Elbrus-8S by the second quarter of 2017. Is the Elbrus-8S likely to dethrone Intel — or at least pose a realistic threat to the company? No. But I’m a big fan of competition, and I’d love to see the desktop silicon world become anything but a two horse race.